Input text: the giraffe. 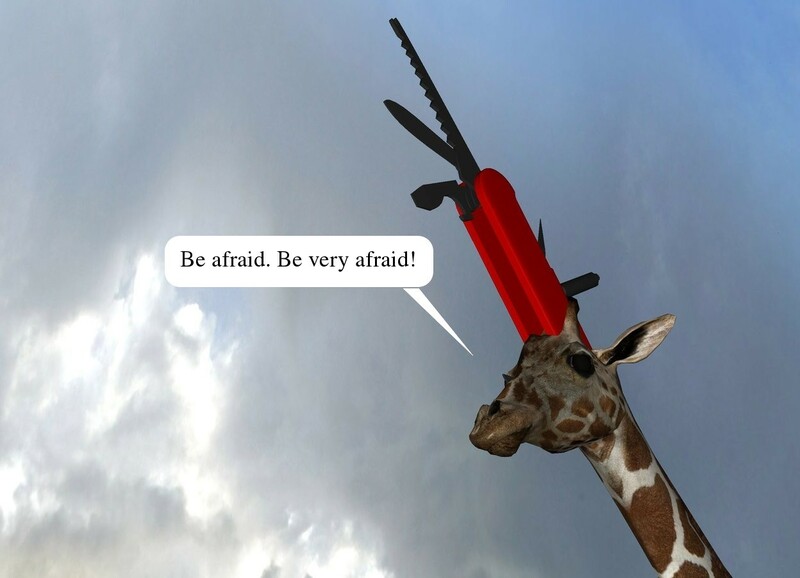 the very enormous knife is -4 feet above the giraffe. it is -4.9 feet in front of the giraffe. it is face up. it is leaning 37 degrees to the front. swiss army giraffe ! brilliant!